Close to $30K in improvements! 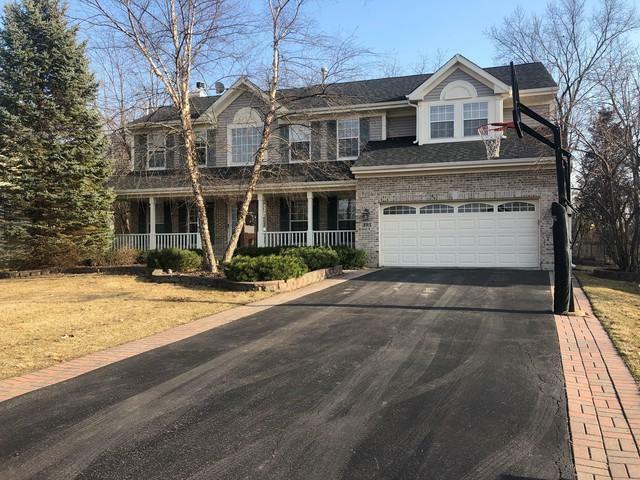 Cul-de-sac location and private backyard overlooking woods. 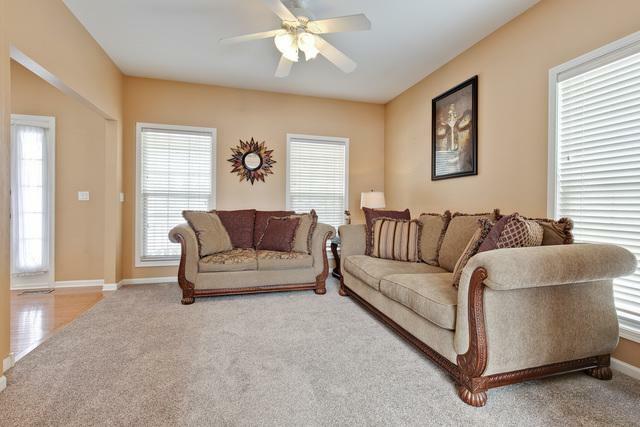 Great open floor plan with 9' ceilings and hardwood floors. 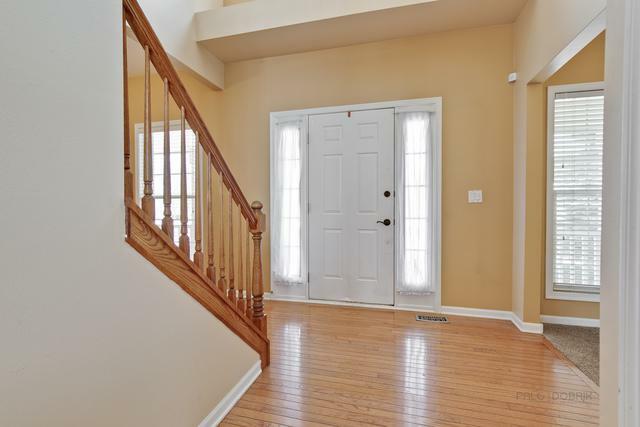 Formal 2story entry with coat closet. Separate formal dining room, only a step to kitchen. Elegant living room with French doors to soaring 2-story family room with large windows and fireplace; great for entertaining! Modern kitchen with white cabinets, SS appliances, and Siltstone counters. Large 1st floor office with built-ins. Master suite enjoys cathedral ceilings, large walk-in closet, and ultra ceramic tile bath with double sink, separate shower, soaking tub and linen closet. All bedrooms with ceiling fans. Bathrooms with granite tops. 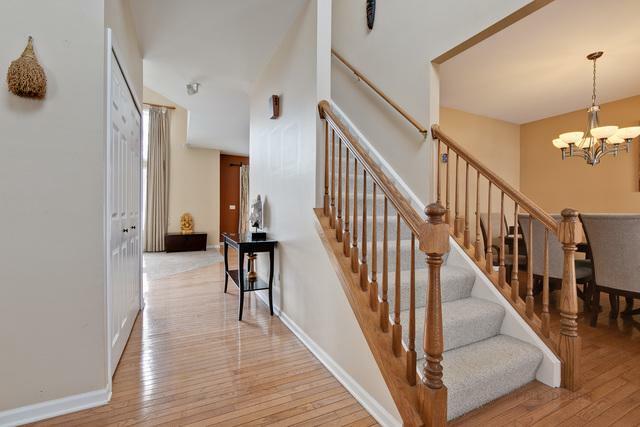 Impressive full finished basement features awesome recreation room with wet bar, full bath, and lots of storage. Large brick paver patio. New roof and siding. New gutters with guards. Sprinkler system. Close to McDonald Woods and trails. Millburn/Lakes School Districts. Perfect place to call home! Listing provided courtesy of Ak Homes. © 2019 Midwest Real Estate Data LLC. All rights reserved. IDX information is provided exclusively for consumers' personal, non-commercial use and may not be used for any purpose other than to identify prospective properties consumers may be interested in purchasing. Information is deemed reliable but is not guaranteed accurate by the MLS or eXp Realty. The data relating to real estate for sale on this website comes in part from the Broker Reciprocity program of Midwest Real Estate Data LLC. Real Estate listings held by brokerage firms other than eXp Realty are marked with the Broker Reciprocity logo or the Broker Reciprocity thumbnail logo (a little black house) and detailed information about them includes the names of the listing broker. Some properties which appear for sale on this website may subsequently have sold and may no longer be available. NOTICE: Many homes contain recording devices, and buyers should be aware they may be recorded during a showing. Data last updated: 2019-04-20T21:51:08.773.